Whatever the business, we can almost all agree that gaining new customers is crucial. Your marketing program needs more that a once a year delivery of promotional products to your current customers. To be successful you need a constant marketing effort. Be it online, in person, or over the radio, marketing your business is key. In this blog, we’ll talk about the power of radio marketing and jingles. Between listening to old favorite songs and the sounds of DJs, customers all over town could be singing along to your radio jingle. We all can safely assume that we know how radio stations work. It’s simple, they play songs around the clock and interject them with commercials and DJ commentary. If the commercial is well written, potential customers will listen to the commercials especially if they have a current need. Placing a radio ad isn’t as simple as calling the radio station. You need to pick the right radio station, the right message, and have the ad play the right number of times. There is also a correct way to buy radio time that involves industry research and negotiation. Also, if you do not have a jingle, you should consider buying one. 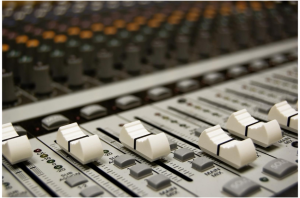 Using a catchy jingle increases name recognition and the effectiveness of your radio ad. Having a company jingle also improves the way people view your brand. You don’t have to think of a jingle all on your own, but you could at least start brainstorming. Do you have a slogan with a nice ring to it? Is there a jingle you always heard growing up that you’d like to emulate in a similar way? Then, you get with the professionals. This often means enlisting a marketing firm that understands your brand, your business, and how those should come across on the radio. When it comes to boosting business through a radio presence, the experts at Contractor 20/20 are here to help. Every single day we help plumbing contractors, HVAC techs, and electricians come up with jingles and radio ads. These merry messages not only embody the business integrity, but they also create a lasting impression on the listener. Whatever the platform and whatever the radio station, we’re here to help. Call Contractor 20/20 at (607) 770-8933 for a jingle you need!